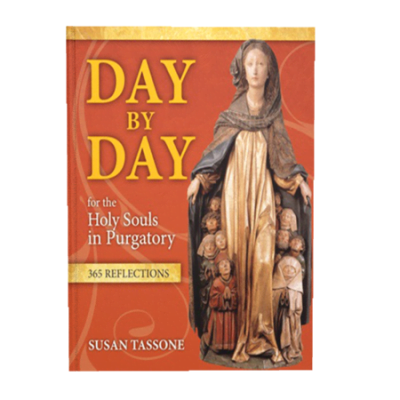 Every day we have another opportunity to pray for the holy souls in purgatory – author, speaker, and purgatory expert Susan Tassone gives you a unique tool to do just that. Day by Day for the Holy Souls includes prayers, teachings about purgatory, real-life stories, Susan’s own wisdom, meditations, quotes from the saints, and more. You can use this book however you like – as a daily devotional, as a year round novena, to follow the liturgical seasons – or, just pick it up and read as the Spirit leads you.